Vertipedia - Edward S. Carter, Jr.
Ted Carter was a protégé of helicopter pioneer Igor Sikorsky and a member of AHS since 1952. 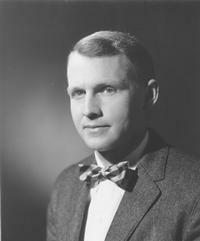 Mr. Carter served as a naval officer during World War II, and later earned Masters of Engineering degrees from both Princeton and MIT. He began his 40-year career under the guidance of Igor I. Sikorsky. That career ultimately spanned more than 40 years at Sikorsky Aircraft where he held a number of high-ranking assignments including vice president for engineering. He was active in all the major industry issues of the day and in 1977 was recognized as an AHS Honorary Fellow. Mr. Carter passed away on March 24, 2004.